The Lodging House Beach Punta Cana is located in Bavaro Punta Cana, next to the Barceló Convention Center and a 5 minute walk from the Bavarian beach and Bibijagua Beach, our property offers accommodation for all budgets and needs of the guests, from a bed in shared mixed room, private rooms in apartment with living room and shared kitchen, full two-room apartments for groups, we also offer you free breakfast and free high-speed Wi-Fi in all rooms. In the surroundings you will find restaurants, shops, bars and casinos. 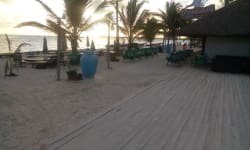 The property also organizes excursions and provides a shuttle service to and from the airport, laundry service, car and scooter rental. 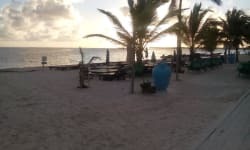 The area is perfect for activities such as windsurfing, snorkeling and golf. 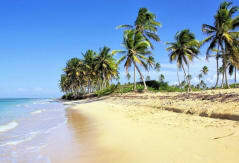 Lodging House Beach Punta Cana is 12 km from Punta Cana Airport. Bávaro is a great option for travelers interested in excursions, water sports and outdoor activities. We are in the center of Bavaro from where you can access the different shopping centers, churches, theme parks and ecological reserve. We have shuttle service from airport. Check in from 2:00 to 23:00 . Please contact us for more info about transfers.